Paul is postponing his planned post due to a death in Cheryl’s family. Instead, here is a piece he wrote three years ago about his parents’ relationship – just in time for Valentine’s Day. Last Friday was my 28th anniversary – of my wedding to an inspiring and wonderful woman. We spent the day apart. Instead I was diving into a weekend workshop on self-expression, knowing that my efforts there were fully supported on the home front. Sharing about my marriage with the other participants and seeing how it moved them, I was again reminded how blessed I am to be in such a loving relationship. So many people tell me that what my wife and I have is rare, almost extinct. That may be. But another anniversary last weekend reminded me of other examples – right in my own back yard. Two years ago last Saturday my beloved mother passed away at the age of 84. When I was going through her effects, I found, framed and faded and hanging on the wall, an old vinyl 78 recording of “their song”. Sixty-five years earlier, Mom and Dad had courted to the musical poetry of “All the Things You Are” by Jerome Kern and Oscar Hammerstein II. I knew this of course. On their 40th anniversary, we had gathered friends and family in an intimate banquet room, where my own wife and I surprised and delighted my parents with our wavering a-cappella rendition of the Kern classic. 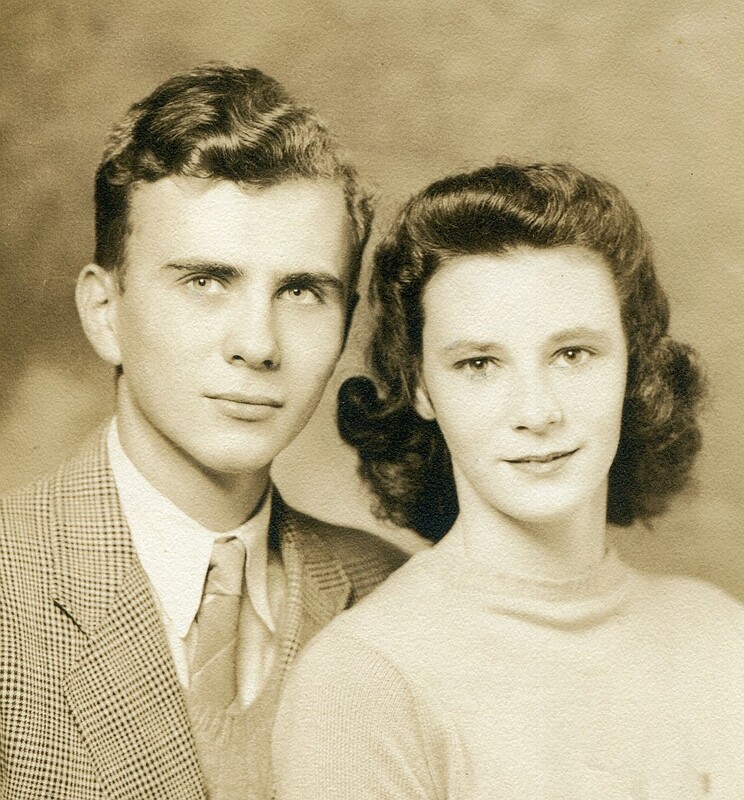 My parents remained “an item” for over sixty years including the time of their courtship. Their friends still thought of them as they did when they were first “going steady”. They were smitten with each other their whole life through. My brother used to say that if you looked up the definition of “devoted” in an illustrated dictionary, you’d see a picture of Dad. He wasn’t far wrong. 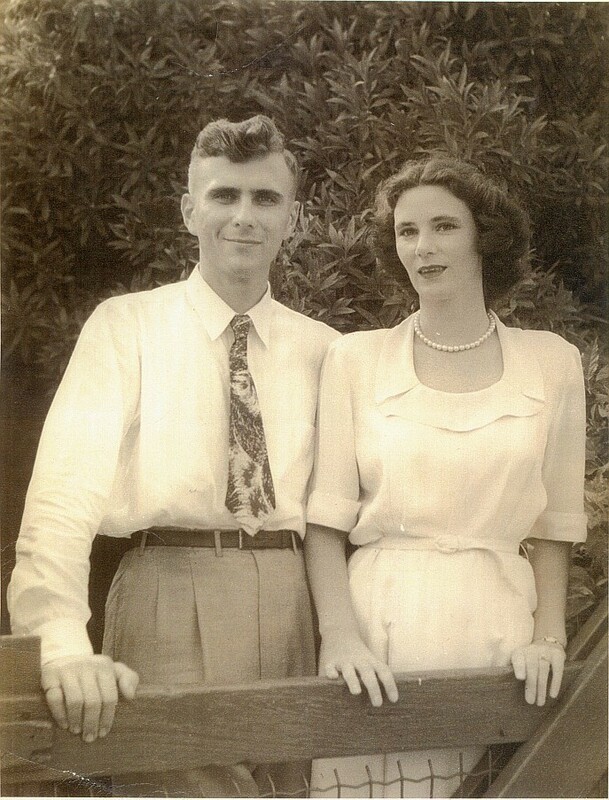 After Dad passed away, Mom continued to live her life as the vibrant woman she was. She was lively and healthy, involved in numerous activities, a fantastic mother, mother-in-law, grandparent – and a wonderful friend to many. She helped many of her peers deal with the advancing years, and when she needed a little more action, she hung out with new friends in the younger set. Yet vibrant and alive as she was, half of her was no longer with us – the “Dad half”. That was our daily experience of Mom for the next six and half years. When Mom learned that her time with us was running out, sad as she was to be leaving us, she was – I believe – very happy to be “following Dad”. She told us many times how her lifelong love affair with Dad had made her life as full as any person could wish for, and that she was completely satisfied with how her life had turned out. I doubt I will ever have the privilege of witnessing another spirit whose final days were as full and serene. When the time came to find a home for Mom’s ashes, the answer came strong and unbidden to me and my siblings. So a few weeks later, the three of us gathered around Dad’s grave on a chilly afternoon, where we sprinkled Mom’s ashes over it – in the warm care of Dad’s loving arms. 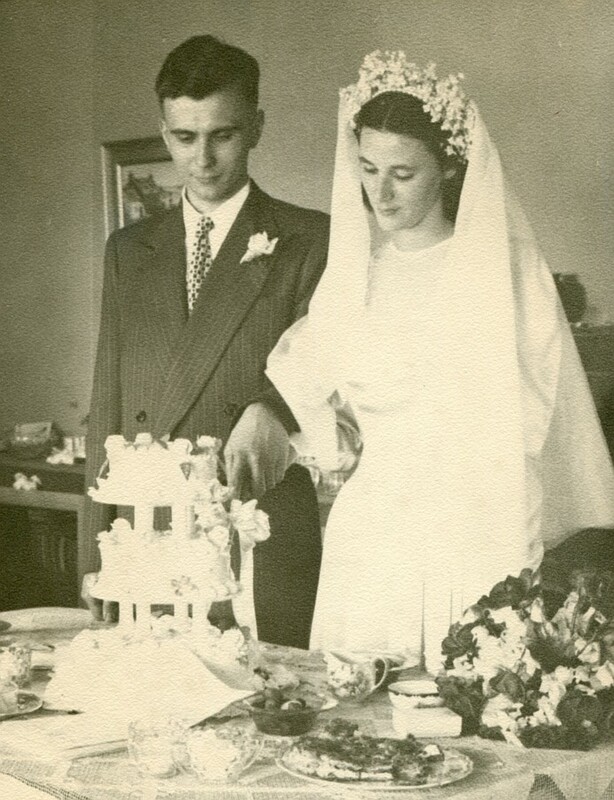 Our three loving spouses were there with us in every way: a most fitting sendoff to a love that had begun more than sixty-five years earlier. I like to think it’s a story that will be repeated. During their overseas years, 1947-1952. This entry was posted in Life and tagged 1940s, 50+, anniversary, Big Band, Caribbean, Community, Family, Golden Age, Jerome Kern, Love, loving relationship, Marriage, Valentine, Valentine's Day, WWII on February 9, 2014 by "No Pension, Will Travel!" with Cheryl + Paul.